Learn more about the voice acting cast featured in Star Wars: Jedi Fallen Order. Following the reveal of Star Wars: Jedi Fallen Order and the news that it’ll be a single player experience, many gamers have found themselves curious about the voice actors that have been cast. While information regarding the voice actors in Star Wars: Jedi Fallen Order is currently slim, there are a few names attached to the project that are worth keeping in mind. Note that in the future, we will be updating this list as new voice actors are confirmed for Star Wars: Jedi Fallen Order. With that out of the way, here’s a list of all voice actors cast in Star Wars: Jedi Fallen Order! A closer look at the voice actors confirmed for Star Wars: Jedi Fallen Order. Cameron Monaghan (Cal Kestis): The first voice actor revealed in the cast list for Star Wars: Jedi Fallen Order is Cameron Monaghan who’s tapped to voice the character Cal Kestis. 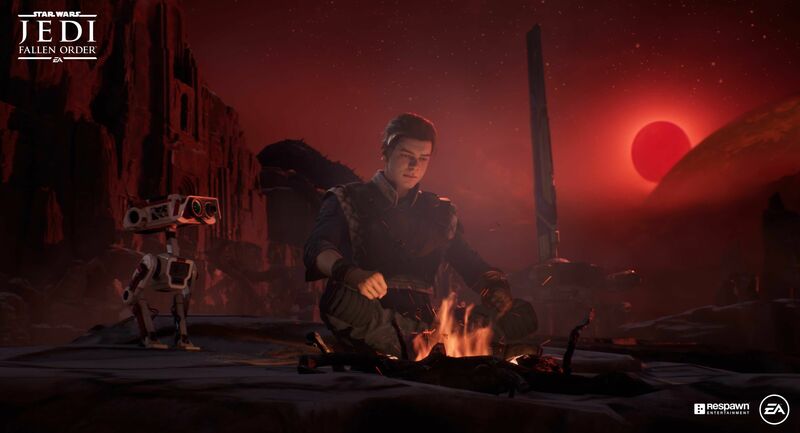 According to information released with the game, Cal Kestis is the main protagonist and a Padawan in the Jedi Fallen Order. If Cameron’s name seems familiar, it may be because he’s been cast in a variety of notable TV shows and movies. Most recently, Cameron portrayed Jerome and Jeremiah Valeska in Gotham, Ian Gallagher in Shameless, and Asher in the 2014 adaptation of The Giver. 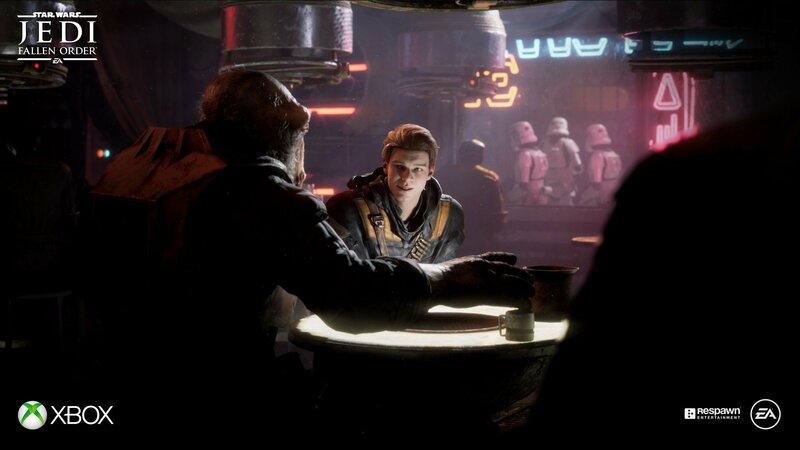 Star Wars: Jedi Fallen Order will be his first foray into voice acting for a video game, and we’re eager to learn more about the character he plays, Cal Kestis. 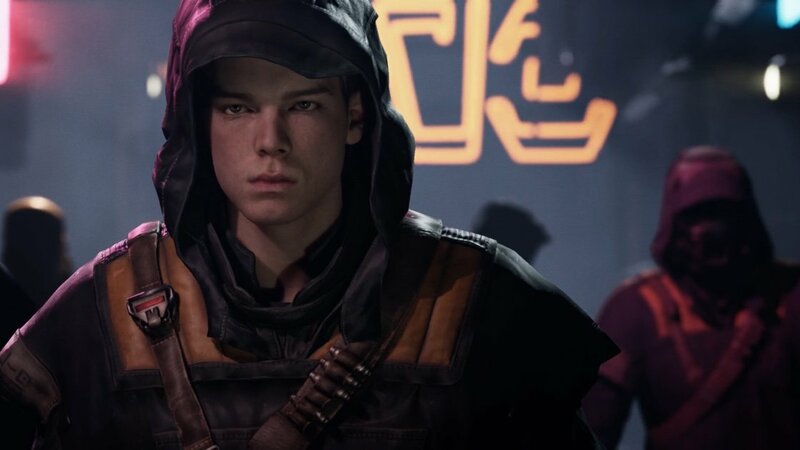 The protagonist of Star Wars: Jedi Fallen Order, Cal Kestis, will be voiced by Cameron Monaghan. Meanwhile, Cal's companion Cere will be voiced by actress Debra Wilson. Debra Wilson (Cere): The next voice actor shown in the cast list for Star Wars: Jedi Fallen Order is Debra Wilson who voices the character of Cere. Based on information from Respawn, Cere will serve as a companion to Cal, though little else is known about this character as of the time of this writing. Debra Wilson is also a notable actress, having had roles in shows like Avengers Assemble. 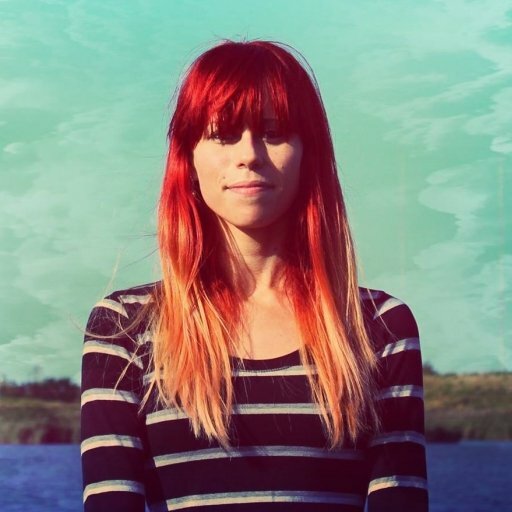 She also has prior voice acting experience with roles including Far Cry New Dawn, Izzy from Just Cause 4, Call of Duty: Black Ops 4, and The Walking Dead: The Final Season to name just a few. Overall, we can’t wait to hear her voice again as Cere in Star Wars: Jedi Fallen Order. Cal's droid friend BD-1 will be brought to life in Star Wars: Jedi Fallen Order by sound designer Ben Burtt. Ben Burtt (BD-1): Finally, the last “voice actor” revealed in the cast list for Star Wars: Jedi Fallen Order is Ben Burtt who “voices” BD-1. As the character’s name suggests, BD-1 is a small droid revealed alongside characters like Cal and Cere, and will likely act in a similar fashion as other infamous droids like R2-D2 and BB-8 in terms of companionship and support. Of course, it’s unclear based on the cast listing whether Ben will simply be composing bleep and bloop sounds for the droid, or whether the droid will actually be able to speak like C-3PO. If we had to wager a guess, we’d say the former is more plausible than the latter, especially after you take a look at Ben’s credentials. In the past, Ben has served as a sound designer on a plethora of Star Wars games including Star Wars: Battlefront II, as well as TV shows like Star Wars Forces of Destiny. In the future, we look forward to getting acquainted with BD-1 and seeing what sort of role this droid will play in Star Wars: Jedi Fallen Order! Right now, those three voice actors are the only ones confirmed for Star Wars: Jedi Fallen Order. Be sure to check back, as we’ll be updating this list as new voice actors are announced. Until then, which voice actor and character are you most interested in? Let us know down in the comments below! Now that you know all of the voice actors cast in Star Wars: Jedi Fallen Order, be sure to read through some of our previous features including five reasons why we can’t wait for Star Wars: Jedi Fallen Order, and a recap of the release date trailer for Star Wars: Jedi Fallen Order.